April - June Tue. & Fri.
June schedule runs from June 2-16. June 18-30 will be summer days and hours. 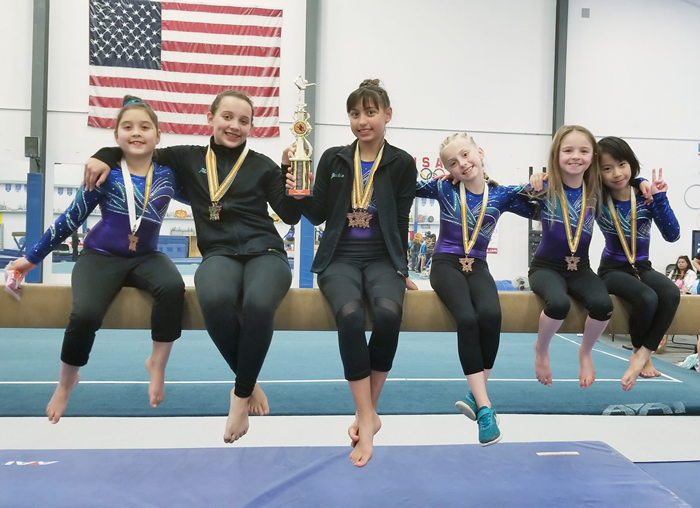 Beginning 1 Gymnastics is a program designed to introduce students to a sport full of exciting challenges (mental and physical) that will help build strength, flexibility, coordination, and balance. Athletes will be trained to do many different skills on the floor, beam, vault, and bars. Proper stretching, technique, and understanding body movement are emphasized. Safety, fun, and more fun are priorities in this class. Beginning 2 Gymnastics is designed for gymnasts who excel in Beginner 1 and need more of a challenge! Must have invitation to register. Must have cartwheel, handstand, bridge, and basic skills on the bar and balance beam. This is the next class level to prepare for Intermediate level. May register by invitation only. Students must have a basic gymnastics foundation and have experience on all equipment. Required skills: floor (forward and backward roll, cartwheel, handstand, and bridge, back-walkover, front-handspring), bars (back hip pullover, cast, back hip circle). These classes are designed for gymnasts that want to transition from recreational to competing and learning routines. Emphasis on technique, drills, and conditioning. Please contact Kelsey Janes for more information. DROP IN $30.00 FOR ADVANCED ELITE ONLY. May register by invitation only. MUST have round-off back handspring. Please contact Kelsey Janes for more information. Tue. and Fri. 3:45-7:45 p.m.
Students may register by invitation only. Please contact Kelsey Janes for more information. 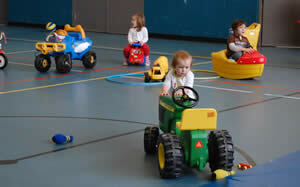 Join a parent/child play group atmosphere which provides a place for young children to play and be active inside. The play equipment is designed for walking through 4 years of age. Slides, ride-on toys, tunnels and more are available! Mondays & Fridays 5:00 – 5:30 p.m.
Wednesdays 4:00 – 4:30 p.m. 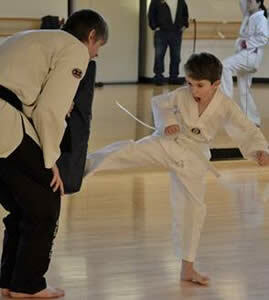 Learn traditional and Olympic styles with USTU, WRF certified instructor that will help increase confidence, physical fitness, flexibility, strength, and self-discipline while becoming part of a new and exciting sport. Try the first two classes for free and see if you like it. Attendance to both classes is required for all 12-14 year olds who want to use the fitness area without parental supervision. • Understanding the FIIT principle, knowledge of basic muscle groups and types of strength training and other recommended guidelines for young adults. • Fitness Center etiquette and appropriate use of exercise equipment for a safe workout. • Specific training of cardio and strength machines in the fitness center. • Upon completion you will receive a teen training card. inside with age appropriate toys. Drop-ins are welcome! Space is limited, first come, first served. Children must be toilet trained.